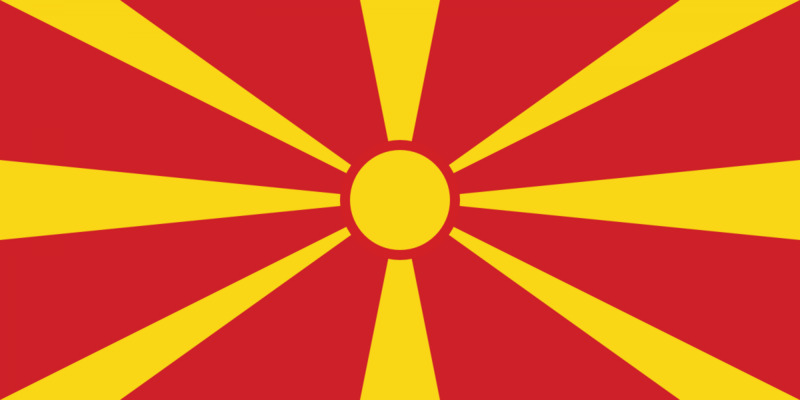 Macedonia's NAP was launched in 2013 for the period 2013-15. As of November 2016, no new NAP has been released. The NAP does not specify who led the development process, but it seems that the Ministry of Labor and Social Policy was an important actor. Macedonia does not have a recent history of conflict, but helps support international humanitarian law regionally. From a recent academic analysis: The Macedonian 1325 NAP lacks detail on many of studied elements because of its bizarre structure. It lacks an action matrix and fails to mention many concrete actions that are to be taken. Interestingly, the annex includes detail on the process of NAP development, including holding local workshops in eight different cities across the country. The Macedonian 1325 NAP is unique in explicitly stating (on page 7) that “the activities envisaged in the NAP shall not have any financial implications” and that responsible institutions will need to make use of the funds they have as they deem necessary (Miller, Pournik, & Swaine, 2014). WILPF International does not have a country section in Macedonia and therefore was not involved in Macedonia's NAP development process, or implementation. There is no mention of civil society in involvement in the development process of Macedonia's NAP. An Inter-ministerial Working Group organized numerous meetings and workshops in preparation of the draft NAP but it is not clear which agencies were involved in this Working Group. The NAP states, "The Implementation of the NAP will also include key experts and representatives of the civil society." Specific activities however are not designated for civil society involvement in the NAP implementation. There is no mention of civil society involvement in the monitoring or evaluation of this NAP. An Inter-ministerial Working Group organized numerous meetings, throughout 2012 in preparation of the NAP draft. Though there is detailed chart in the Annex of the NAP outlining the objectives of each workshop, it is not clear which government agencies or ministries were involved with the Inter-ministerial Working Group. Macedonia's NAP states that the implementation and coordination of the NAP will be coordinated by the Inter-ministerial Working Group. It is not clear however which government agencies or ministries are involved. In addition to the Working Group, various government ministries are responsible for NAP implementation including the Ministry of Labor and Social Party, the Ministry of Foreign Affairs, the Ministry of Interior and the Ministry of Defense. Macedonia's NAP states that the implementation and coordination of the NAP will be monitored by the Inter-ministerial Working Group. It is not clear however which government agencies or ministries are involved in the Working Group. The three primary objectives of the NAP are stated below. Objective One: Strengthen the gender perspective in the formulation and implementation of the peace, security and defense policy of the Republic of Macedonia. Objective Two Strengthen the participation and contribution of women to international, civilian and military missions in which the Republic of Macedonia takes part. Objective Three Prevent violence and protect women's rights in the time of peace and humanitarian disasters. Macedonia's NAP lacks an action matrix and fails to mention many concrete actions that are to be taken. As a result, there are no specific Actions or Activities listed. The timeframe for Macedonia's NAP covers 2013-2015 however there is no set timeframe for implementation, monitoring or evaluation as there are no specific Actions and /or Activities listed in the NAP. There is no specific allocated budget for Macedonia's NAP. The NAP states, "The activities in the NAP shall not have any financial implications and shall be implemented within the available budget of the institutions that are responsible for the implementation of the NAP in the period 2012-2015." Rarely does a NAP state that there will no financial implications. There are no measurable indicators listed in this NAP. There is a list of "Expected Results" but each of these are vague and un-measurable. For example, "Greater representation of women in security sector institutions and their participation in the decision-making process which will ensure a gender sensitive and more effective security policy on a national and international level." The Inter-ministerial Working Group for Monitoring of the Implementation of the NAP for Resolution 1325 for WPS, comprised of relevant ministries and experts (though no specified) will monitor implementation. For reporting, the MLSP is to inform the Government who will then inform the Parliament and competent committees on the NAP implementation. There are no clear lines of responsibility as it is unclear who is involved in the Working Group. There is no mention of when this reporting will occur. There is no language on disarmament in the NAP.